The dilemma is what to do with passages like Revelation 4,5 when putting up power point slides during a message. 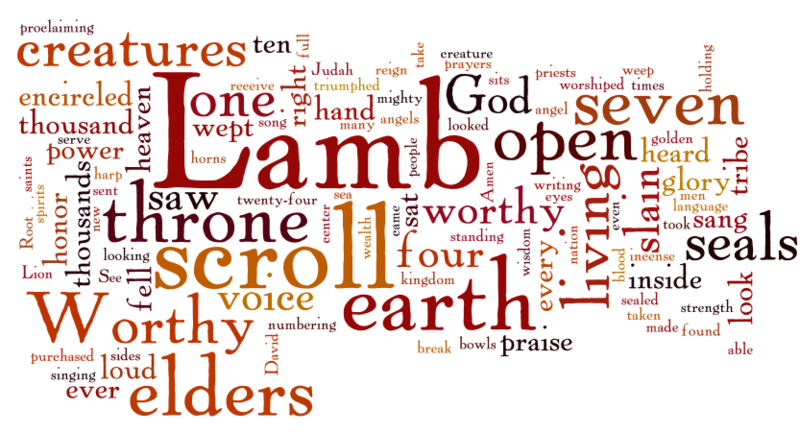 Most of the pictures of a 7 horned and 7 eyed lamb that was slain do not seem to work for me. I am putting up a word graphic, and letting folks turn on their imaginator. Read Freshly or Read Dogmatically? The book of Revelation is the perfect example of why I titled this blog “Fresh Read”. It is a book of strange images, it has a long history of highly disputed interpretations. So we have a choice. 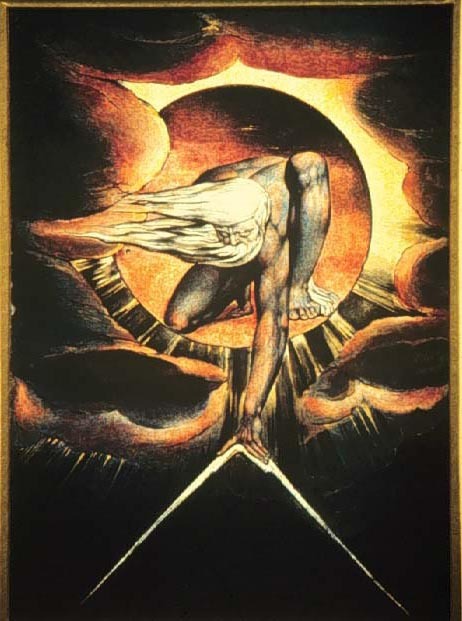 We can come to the book having decided what we think about “the end times” and try to fit the bits and pieces of Revelation into our dogmatic framework. To be fair, it is a fair principle of scripture, to compare scripture to scripture. So we place the saying of Jesus about “hating” our mothers and fathers next to the 5th Commandment to Honor our Fathers and Mothers. This keeps us from falling overboard into some cult like interpretation. However, when we attempt to fit the scriptures into our dogmatic framework, we are trying to fit the text into our pre-determined filing system. This places our dogma, or filing system, above the scriptures. At the start of books on Revelation, one can get lost in a sea of history and controversy. 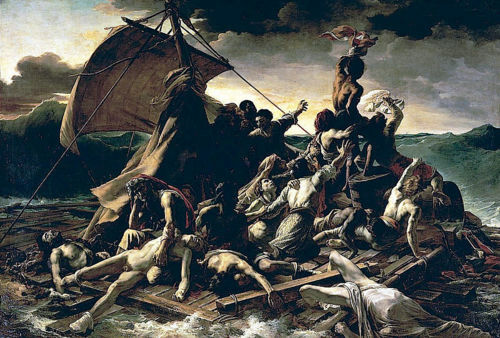 The whole thing makes me feel like one of the survivors in the painting by Géricault. Another approach is to focus more on a reading of the text, comparing English translations, or to the Greek if you can, and noticing the internal structure and flow of the work. Keep observing, and them observe some more before you start to try to formulate a structure or a framework. Become familiar with the text before you consult other observers (these are the commentaries and expositors). Only then will you be anywhere near able to learn from and dispute with these literary friends. I don’t know what that means, but it had me singing they hymn “Holy, Holy, Holy” in my back yard patio where I was reading under the bright and warm sun. Reading through dogma can lead to confusion, reading, just reading, leads, occasionally, to worship. Some read the Letters to the Seven Churches in Revelation 2 and 3 as an outline of the stages of the church through history. That is interesting but there is nothing I find in the text that would suggest that. It seem to me that you could make any one of the letters fit any stage. There were false teachers and indifferent believers from the get go, if we judge by the letters of Paul to the churches. I prefer to consider the letters in light of Goldilocks and the Three Bears. You remember, she sits in each chair, tries each bowl of porridge and lies on each bed to see if any fit. I suppose it is noteworthy that Goldilocks was sleeping away when the bears returned. We do not want to be sleepers and interlopers when the Lord returns. So Fresh Read hit 30,005 readers as of this post. 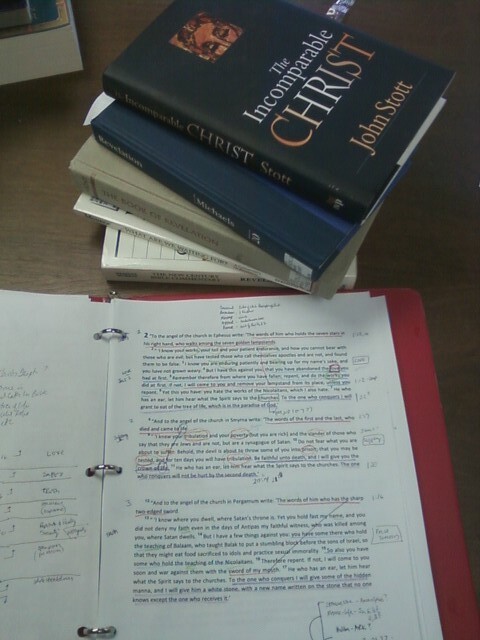 Some notes on reading commentaries on Revelation. I am in chapters 2 and 3, the letters to the 7 churches. What is mind numbing is reading the extensive background (was that available to the first readers) and then to detailed enumeration of speculations on the significance of symbols. For example, is the open door, mentioned in the letter to Philadelphia, an open door to missions? (Reference is made to Paul’s letters here, and the supposed strategic location Philadelphia has for missions.) 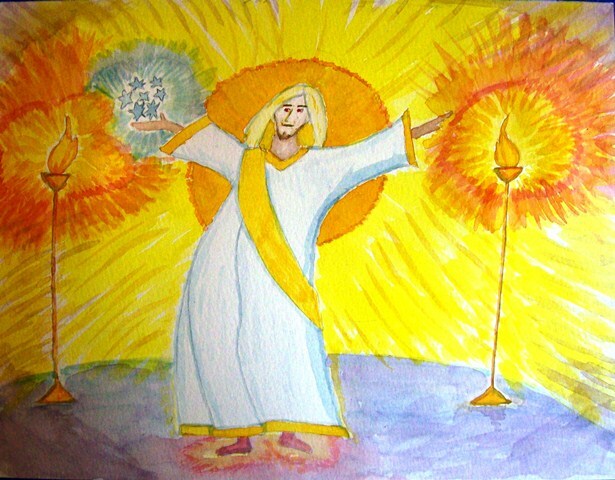 Or maybe it is to what the letter speaks of – the New Jerusalem. the Lord is the one with the Key to David. No key of David is mentioned before, and some speculate it is tied to Isaiah 22 (Isaiah 22, really?). How about the idea that each introduction to the letter is keyed to the first chapter. There Jesus is said to heave the key to death and hades, verse 1:18. Hmm, is it possible he has a key to the other location, New Jerusalem, also on his key ring? Look the end of the letter speaks of entrance into the temple of God (the eternal heavenly one) and ones perpetual place in it. When we look ahead to Chapter 22 (all the letters make reference to chapter 19-22 in one way or another) we find that there are 12 gates (doors?) that are always open. The open door is final salvation and entrance into the City of God – as opposed to what that key in verse 1:17 opens, which is the other option described in the end of the book at 20:14. Again, things are more clear if I read the text, first and repeatedly, and note INTERNAL connections before EXTERNAL ones. And save the historically survey of speculation until you have a good handle on the text. Did I mention, read the TEXT? If nothing else, there is a blessing for reading this text (1:3) which can not be said for the stack of commentaries on my desk.